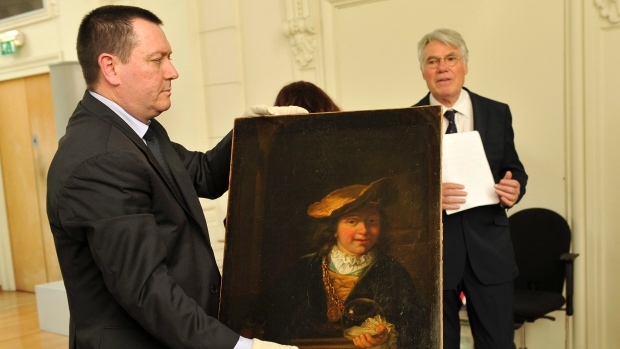 In a fascinating tale, former alarm technician who stole a Rembrandt painting which he kept hidden for 15 years had turned himself in. His fixation grew until finally, aged 28, he stole the artwork. As an alarm technician at The Municipal Museum, he closely studied the museum’s security. The heist was set up got July 13, 1999, taking place during the French public holiday Bastille Day. As noisy celebrations continued in the town, he crawled into a large cabinet before removing the painting from it’s bulletproof-glass case. He escaped with the work as the alarm sounded, but by the arrival of the police he had disappeared. He took a Polaroid ‘’selfie’’ with his painting before hiding it well wrapped in bubble wrap and a thick blanket. The artwork was then kept under his bed. Vialaneix set up an empty easel beside his bed where he would prop up the picture to gaze upon it. He would even speak to it, an act reminiscent of the story in Donna Tartt’s popular novel The Goldfinch, whose narrator stole the painting of the same title by Carel Fabritius, a student of Rembrandt, from the Metropolitan Museum of Art. He told Le Monde: ‘’I became its guardian but also its hostage.’’ Following a robbery in his home, a termite infestation and dampness paranoid Vialeneix moved his family several times. Falling into a deep depression after 15 years, he confided in a friend who organized for him to meet two men in Nice who identified themselves as insurance agents. He handed over the painting, which was valued at 4 million euros, for €40,000. The men had of course fooled Vialeneix, and the pair had sold the painting in the black market. They were arrested by the OCBC, a police unit which invesitages art trafficking. Vialaneix confessed to his wife and his therapist what he had done before handing himself in. However, the statute of limitations had run out, so he never had to serve any jail time. Instead now he looks set to cash in on his crime with several book and film projects being offered his way. Vialeneix’s sudden fame does cause concern that copycat crimes may start to rise.